With over 25 years of experience, Sherri Hill, PhD is an accomplished healthcare executive with leadership and organizational development expertise. She currently has front-line responsibility for implementing improvement strategies to drive change and achieve results within a community healthcare system. She has extensive experience in key facets of organizational development including strategic planning, quality management, leadership development, employee satisfaction and performance improvement. 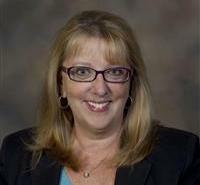 She is known for helping organizations use a systems approach to communicate effectively within teams. Her research interests focus on factors that increase the level of employee initiative and proactive behavior in organizations. This includes speaking up to express constructive ideas for changes in organizational procedures and practice (PROSOCIAL VOICE). She is currently involved in a large-scale research program investigating prosocial voice among hospital nurses. Recently, Dr. Hill has co-authored a book chapter on systems thinking in healthcare organizations and provided consultation to Chicago area health systems.